At the office, if it's you everyone comes to for all their business travel and stay requirements, then this is your space. So start now, enjoy doing what you do best and with the Corporate Club Rewards, find great rewards too. Yes it is that simple! As a corporate booker, you constantly ensure that your guests have a pleasant stay experience. Through you, we look forward forging a fruitful business association, which assures you that your guests are well taken care of. We deeply appreciate the valuable role you play, and take great pleasure in showing this appreciation through a range of rewards. Find more value... Feel more valued!!! To begin click here and fill in the online membership form. A Corporate Sales Manager will get in touch to facilitate and complete the process. 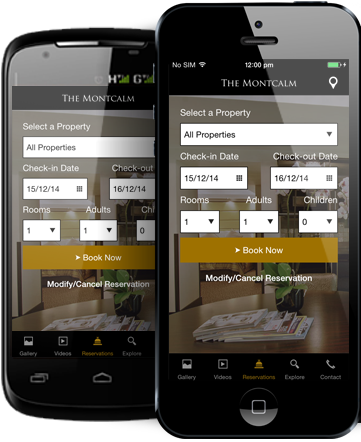 Access your page to View Your Profile, Manage you reservations, Claim your Rewards and more. So hurry up and register today to enjoy the privileges of being a member of the Corporate Club Rewards! Each time you book through the Corporate Club Rewards, you accrue points. You can decide how to spend your points. Choose from a wide range and indulge in whatever catches your eye.